Colorful arrangements of fruits, honey, coconut, and granola are something you have probably seen on everyone’s Snapchat stories. I know that I have definitely posted my fair share of their unique selection of food. But there’s more to Cafe Succo in Birmingham than just the food’s aesthetic. 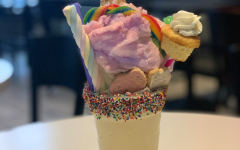 Cafe Succo serves raw, cold-pressed juices, energizing salads and wraps, and protein packed smoothies, but what they are best known for are their famous acai bowls. They offer all organic, gluten free foods to lift the mind, body, and taste buds of their customers. On one of my many stops to the Cafe, I even saw them trimming herb grown in their kitchen. Their menu ranges from refreshing smoothies such as their “Charge” containing peaches, mangos, strawberries, and almond milk, or my personal favorite the “Strength” with banana, kale, spinach, mangos, and ginger. If smoothies aren’t your thing, they have wraps and sandwiches filled with a variety of cheeses, grilled chicken, avocados, and more. Let’s get to what the real question is on every first time Cafe Succo visit: What even is an acai bowl? Acai bowls are delicious, organic and GMO-free dishes that have a base of blended acai berries, which have numerous health benefits and are quite tasty. Then, there are a variety of fruits, vegetables and protein powders to add to the acai base. 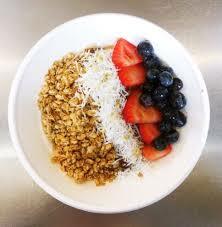 On the top, the blend is garnished with choices like granola, honey, coconut shavings, and fruits. Personally, my favorite is the “Rejuvenate” because it satisfies my sweet tooth while boosting my energy. Thankfully I live a good distance from Birmingham, or I’d be spending every dollar at Cafe Succo.